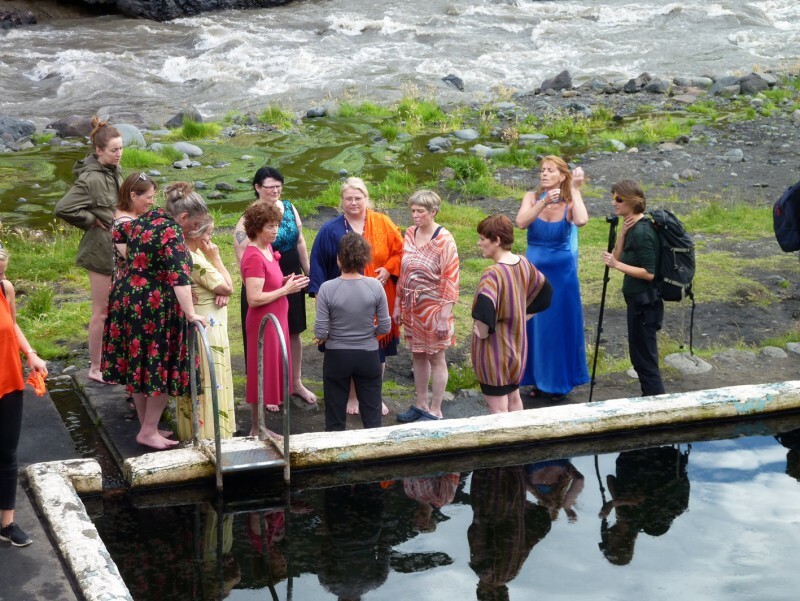 In July 2014 a group of 10 women met in the area of Hella in South Iceland to work for one week on a performance. Nobody knew how the performance would result. 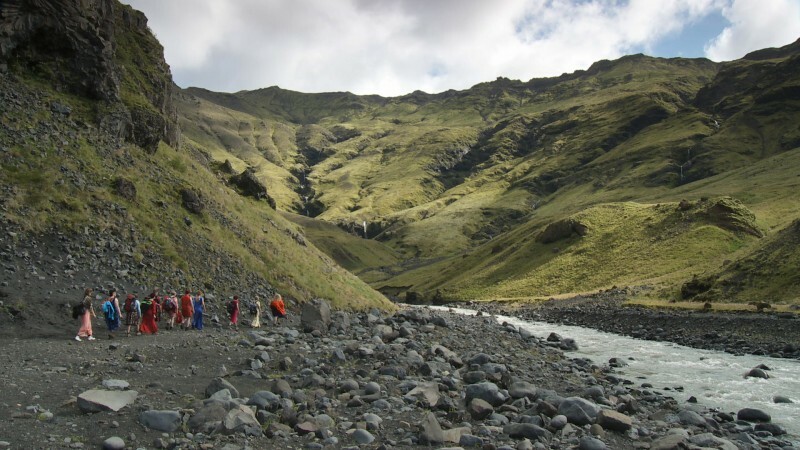 Summer 2012: The artist Heike Baranowsky and Ursula Rogg had come from Berlin to go for long distance walks in the mountains of Iceland. 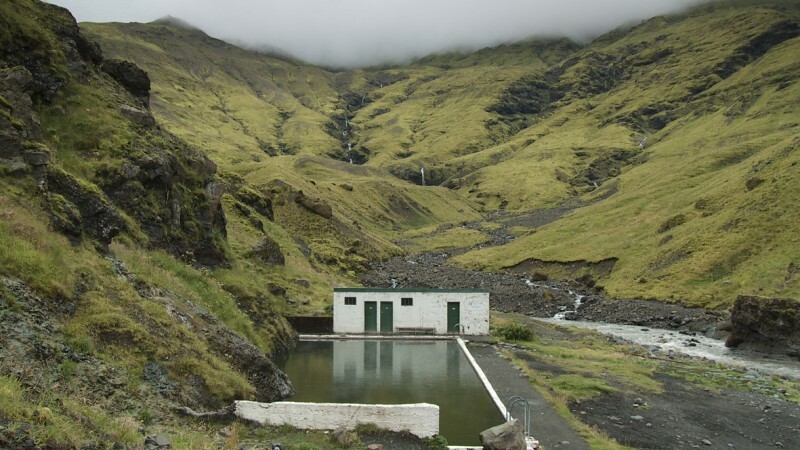 It was at the foot of the volcano Eyjafjallajökull that everything started: deep in its valley it holds a unique one hundred year old, brick-built pool, where in all weather hot water springs mix with glacier water to a perfect bath temperature.When the artists arrived there, a choir was singing in the pool. They experienced that as a happening of such power and beauty that they decided later to try to recall that moment. 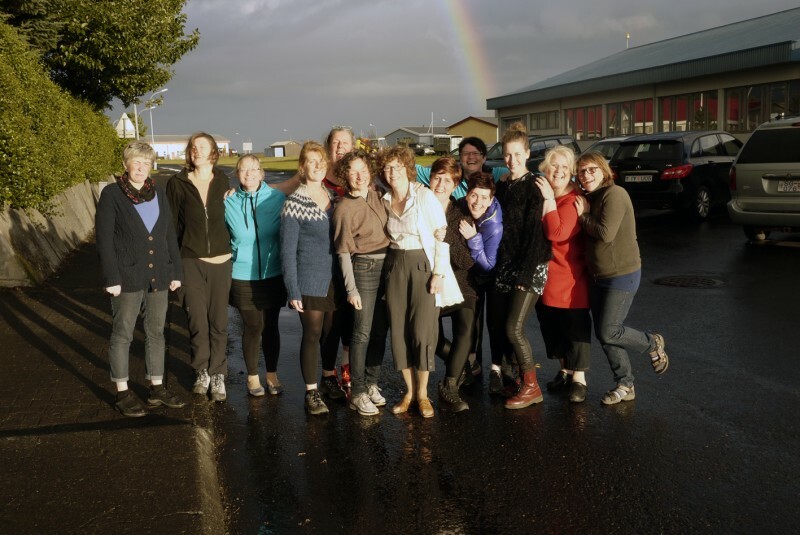 Spring 2014: Heike and Ursula came to Iceland to look for a choir. They met the choir leader Groa Hreinsdottir. The three decided to work together on the basis of Heikes and Ursulas shared /mutual experience and their different but converging memories of the event in 2012. The memories were as strong as unclear. The only thing that was certain was that there would be singing – and that it would take place in that pool. 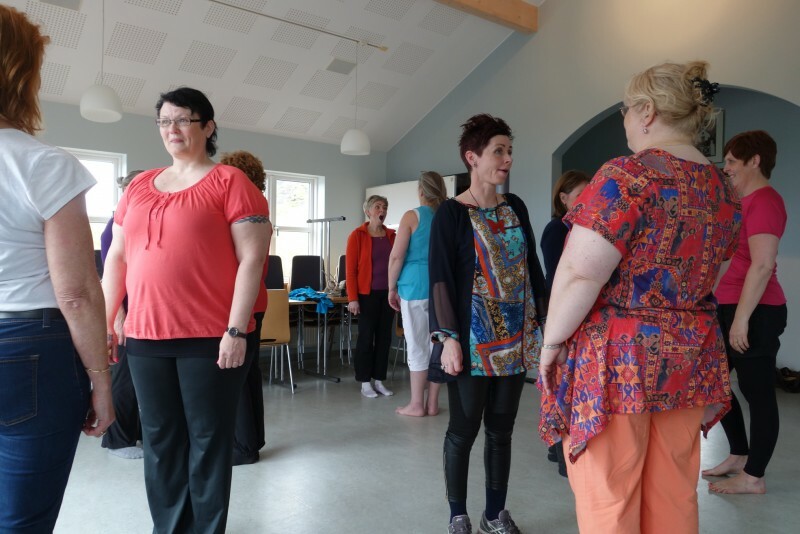 Gróa formed a choir with women from the area. The pool, where all participants have ties to, forms the stage for“KviKvi”. 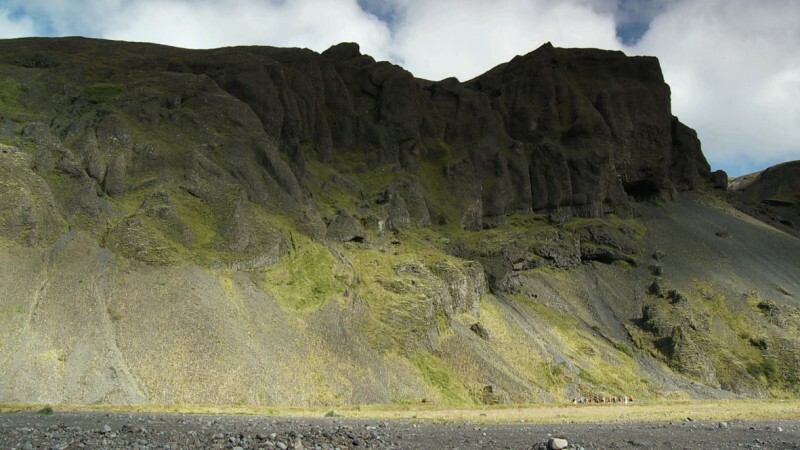 “Móðir mín í kví kví” is the Icelandic name of the original song,which in the process turned out to be the starting point for improvisations in movements and singing. 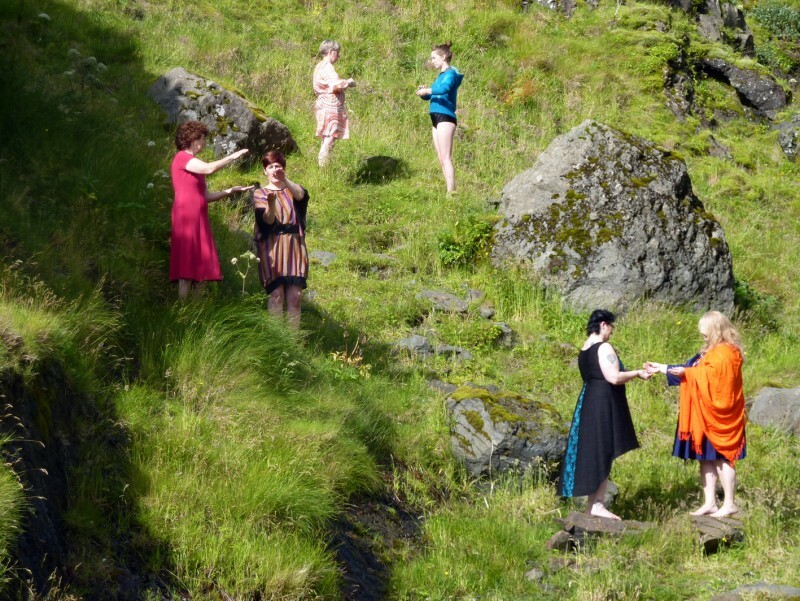 Gróa, Heike, Ursula and ten female singers worked for one week on the improvisation with the song and the landscape. On July 30 the performance took place at the pool. The film will be based on the footage of the performance and landscape images. It will communicate the uniqueness of the place and the particularity of the moment. 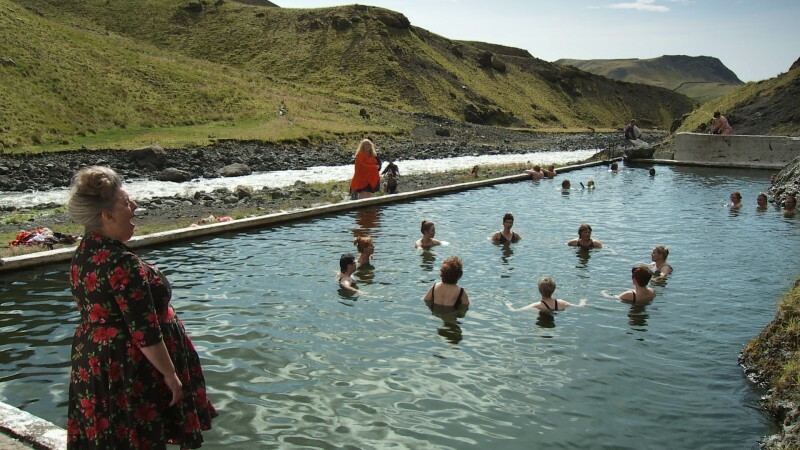 Í júlí 2014 hittusttíu konur í nágrenni Hellu og unnu saman í eina viku að gjörningi. Engin þeirra vissi fyrirfram hver útkoma þessa gjörnings myndi verða. Sumarið2012: Listakonurnar Heike Baranowsky og Ursula Rogg komu frá Berlín til aðganga á íslensk fjöll. Það var við rætur Eyjafjallajökuls sem ævintýrið hófst: í djúpum dal fundu þær aldargamla steinhlaðna laug, þar sem heit uppspretta rennur saman við jökulvatnið og myndar kjörnar aðstæður til böðunar. Er listakonurnar mættu á staðinn tók á móti þeim syngjandi kór, ofan í lauginni, enfullar undrunar á krafti og fegurð þessa augnabliks ákváðu þær síðar að reyna að endurskapa atburðinn. Vorið 2014: Heike og Ursula komu aftur til Íslands íleit að kór og kynntust kórstjóranum Gróu Hreinsdóttur. 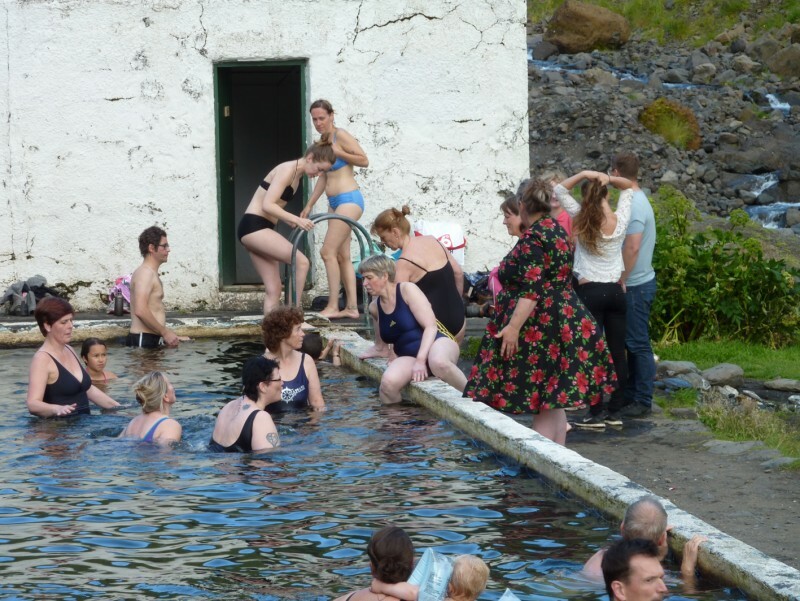 Ákváðu þær þrjár aðvinna saman út frá sameiginlegri reynslu Heike og Ursulu frá atburðinum og notast við minningar þeirra beggja sem í senn voru ólíkar og runnu saman í eitt. 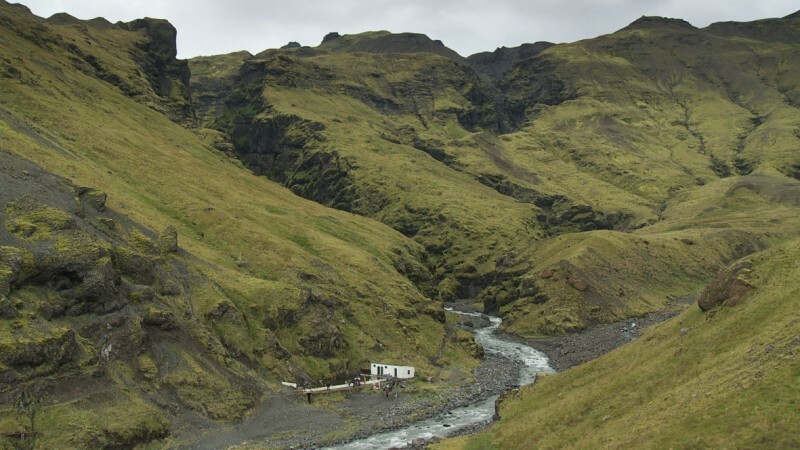 Minningarnar voru jafn sterkar og þær voru óljósar. Það eina sem var vitað fyrir víst var að það yrði söngur - og hann myndi eigasér stað í laug. Gróa setti saman kór af konum búsettum í nágrenni laugarinnar. Laugin, sem allir þátttakendur gjörningsins tengjast á einhvern hátt, myndar sviðið fyrir “KvíKví”. 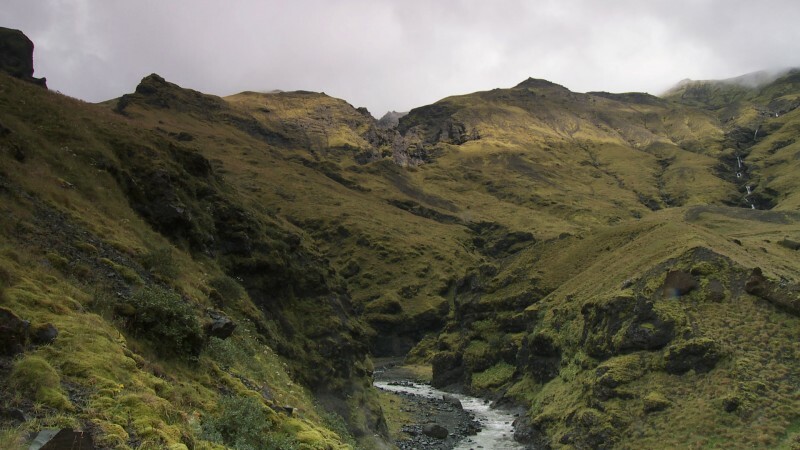 Upprunalega þjóðlagið, sem bertitilinn “Móðir mín í kví kví”, varð að útgangspunkti fyrir skapandi spuna íhreynfingum og söng. 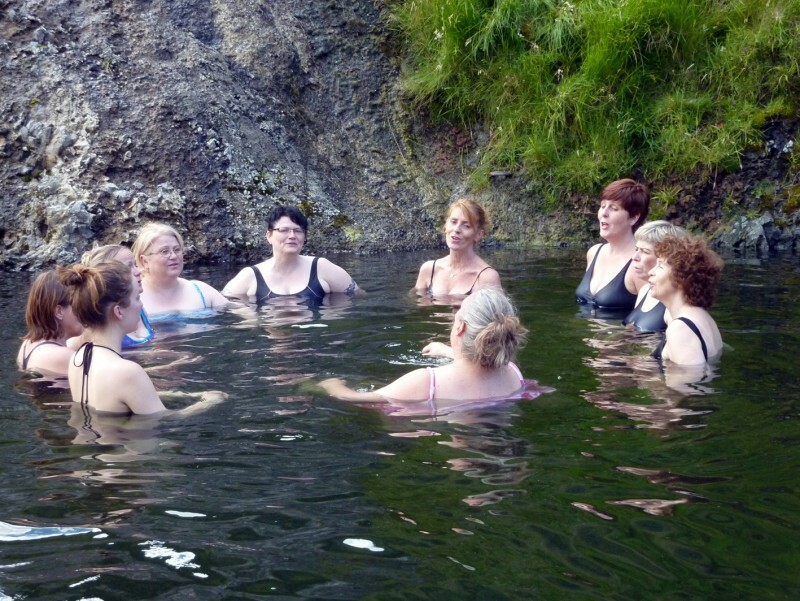 Í eina viku unnu Gróa, Heike og Ursula ásamt tíu söngkonum með lagið og landslagið í kring og þann. 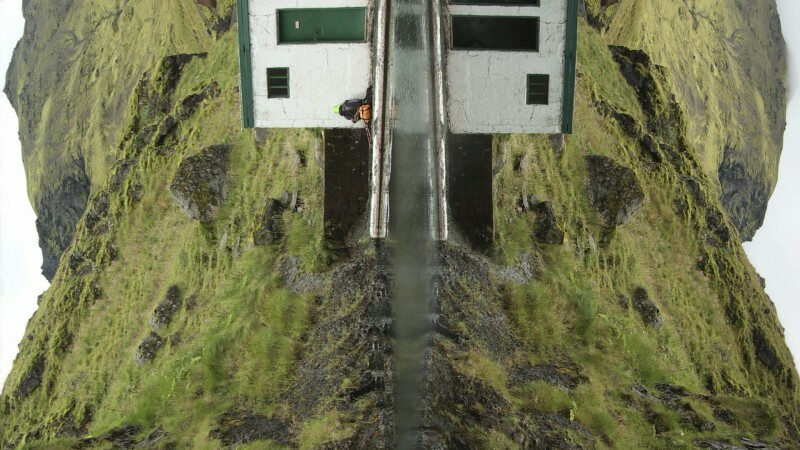 30. júlí fór gjörningurinn loks fram við laugina. Myndin verður byggð á myndefni frá gjörningum og landslaginu í kring og mun hafa það að markmiði að miðla sérstöðu augnabliksins á þessum einstaka stað.